When the weather turns cold and days get short, what better way to enjoy a nice Halloween season evening than by gathering around a blazing bon-fire and sharing spine tingling camp fire stories. Add to the thrill and ambiance of the evening by turning the surrounding area into your favorite haunted scene to make the entire experience that much more frightening. The annual MCARLM Ghost Stories and Local Lore evening provides this experience to attendees. 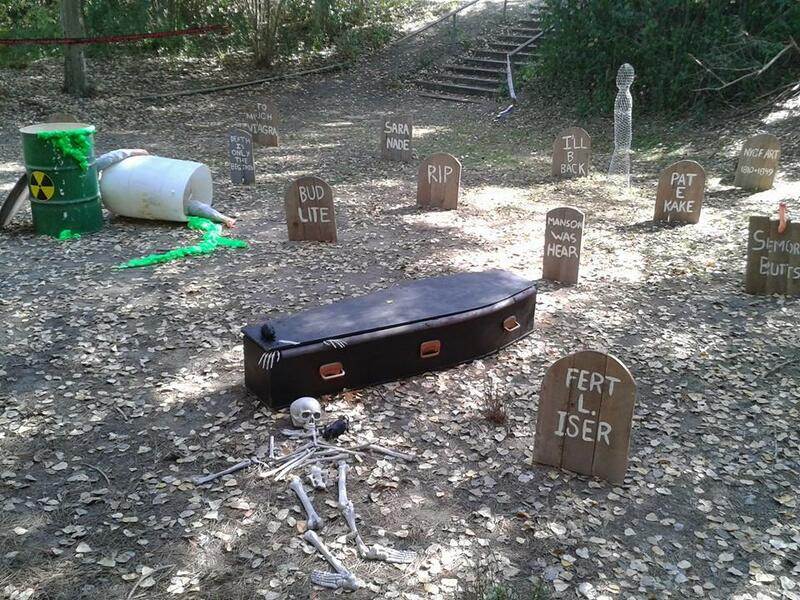 With a minimal budget, staff has to find ways to make this event spooky and fun through creative steps, outside of spending much needed funds. So to create this amazing event, it certainly helps to start with a spectacularly perfect location. The Monterey County Agricultural & Rural Life Museum is lucky enough to be set in beautiful San Lorenzo County Park. 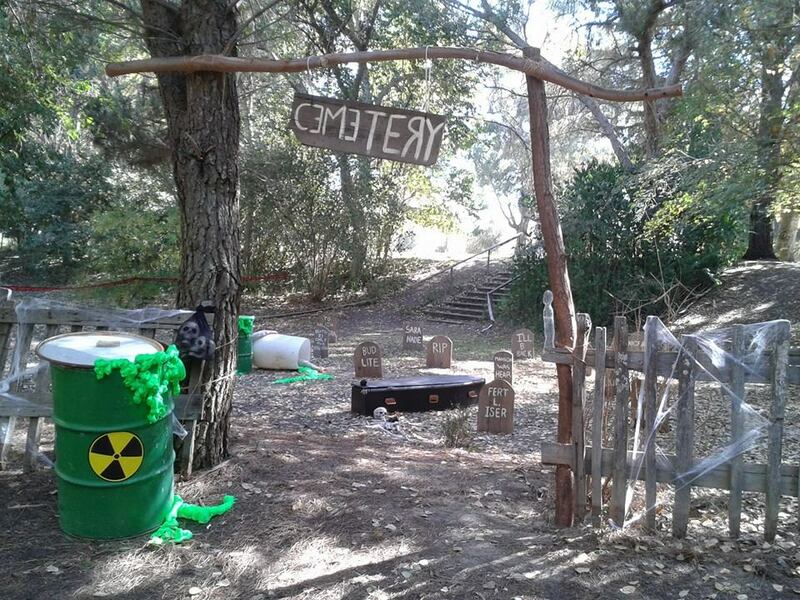 This 200+ acre park includes acres of lawn to play on, 2 playgrounds, hiking trails, RV campground and a youth camp area that is located down in a bowl surrounded in trees and bushes that are ideal for creating a dark, haunted scene. So using this perfect canvas was definitely a great starting point. Besides the bon-fire pit and wooded area, another great aspect of this location is the secluded alcoves that it has, providing opportunity for individual scenes. 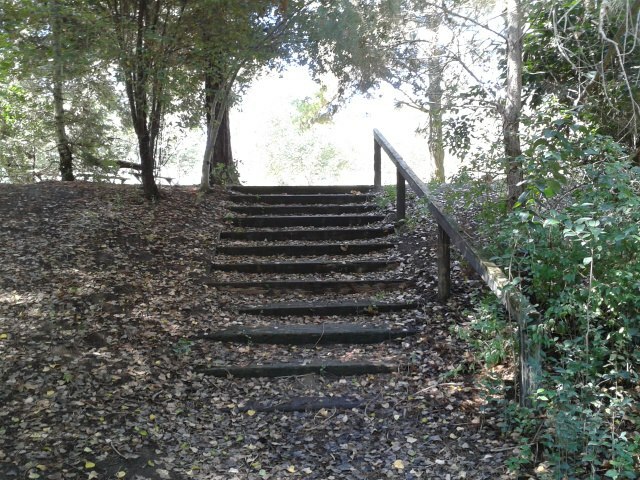 Right after coming down the steps, such an alcove was perfect for creating an old ‘abandoned’ toxic cemetery. We were lucky that one of our board members has the makings for a cemetery, complete with life size coffin that we were able to borrow. This look was created with some basic wooden planks, similar to the kind used for building fences. Weathered wood looks best, but any wood plank will work. Simply screw 3 wooden planks to 2 smaller cross planks to make a rickety looking headstone. We used rebar stakes to keep them upright and secure. 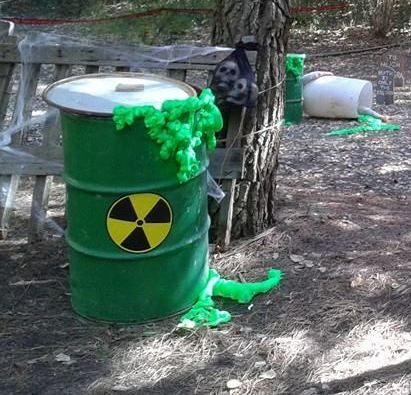 To give the scene a sense of danger, we added a toxic spill using old barrels that we had in the park. The toxic ooze was added to the barrels using an amazing product called Great Stuff, a spray insulation foam. This super cool product truly is great stuff and is so easy to use and dries quickly. Using an old barrel, trash can or other large container, spray the foam along the top and then carefully work your way down the side, making sure that the foam is adhering to the sides as you go. Let it dry and add to it as necessary to create the effect you are looking for, then create a trail along the bottom of the container to demonstrate a flow of sludge into the now ‘affected’ area. Once the foam dried, we used fluorescent green paint and topped it with glow in the dark paint to give it an eerie glow in black light and after dark. If using a plastic barrel, like the one we used in the background, add some large glow sticks or a light to give the scene an eerie glowing effect. Now your cemetery is ready to produce hoards of the un-dead! I liked working with the Great Stuff so much, I set out to experiment to see what other gruesome creations I could make with it. This next decoration that we made turned out better than I had imagined it and happens to be my new personal favorite! Using a pair of pants we got at the local thrift store, crumpled up paper to stuff the legs, two feet we found at the local dollar store, red spray paint and a can of Great Stuff (I know, this is starting to sound like an advertisement for this product, but this is really GREAT STUFF! 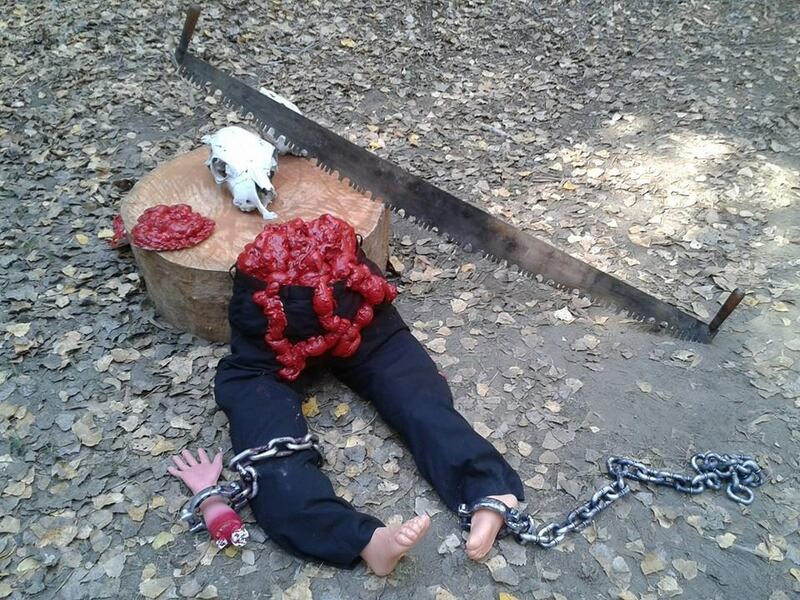 ), we made a gruesome bloody disembodied trunk to complement our saw murder scene. 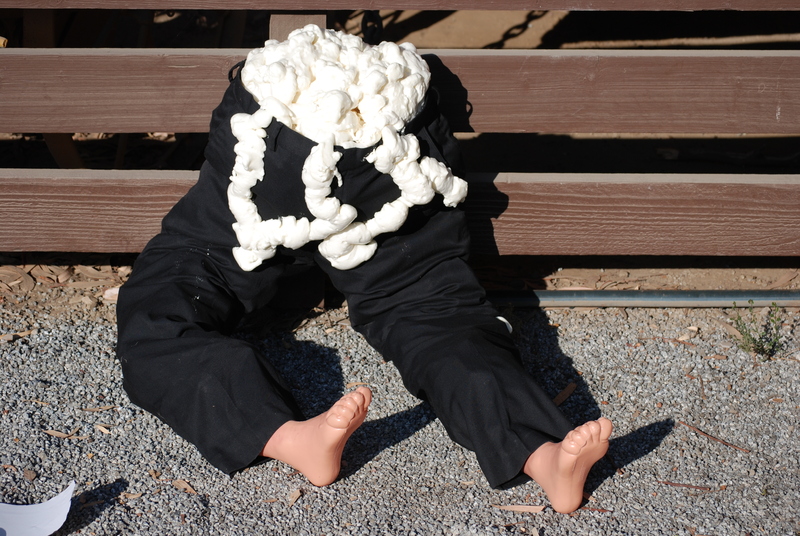 Fill the top of the stuffed pants with the foam and then run it over the waist band to look like the guts are spilling out. The foam expands so don’t worry when it starts off looking like you don’t have enough. Let the foam dry to a solid and paint with red spray paint. 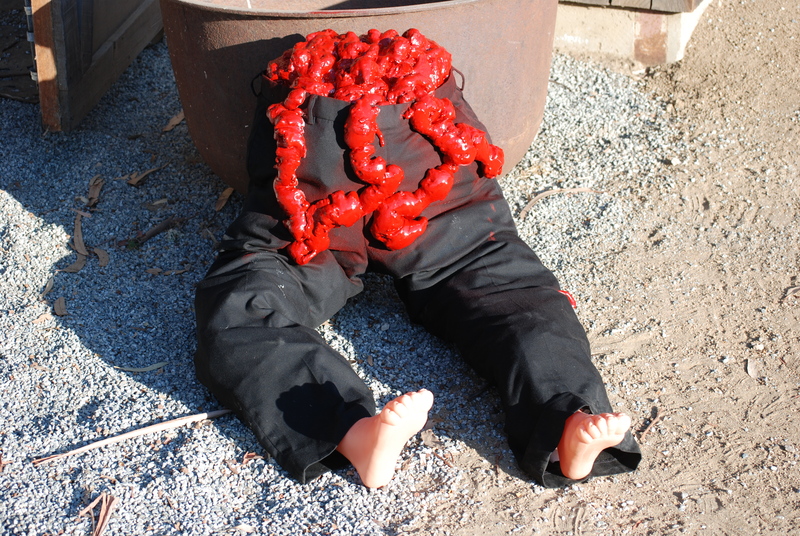 Use the remainder of the foam in the can to make extra guts to accent the scene. Roaring bon-fire, spooky decorations, ooey gooey s’mores and now everything is ready for some scary stories. Tell some that you remember scaring you as a kid (Bloody Mary anyone? ), or go on-line to find an endless supply of frightening tales of horror and despair. Remember, it’s all in the telling. Take your time, and lower your voice for effect, causing the listeners to lean in prepping them for the big scare! Happy Halloween! And on the menu . . . Bologna Sandwiches! At the Monterey County Agricultural and Rural Life Museum, we have found that the key to keeping people happy at an event and coming back for others, is to provide good food and drink as well as quality programming. As mentioned in previous blogs, MCARLM is lucky enough to be hosting the Smithsonian traveling exhibition, Bittersweet Harvest The Bracero Program 1942-1964 from now until July 28, 2013. Planning the grand opening for this special exhibit, we booked a great speaker, contacted and scheduled our local politician and nailed down a special evening for our members and special guests. The last piece to the puzzle was to talk with a local caterer and plan a menu that would compliment the exhibit and the evening we had planned. D elicious Chili Verde Burritos, Taquitos and guacamole, a fresh fruit salad, chips, salsa and Bologna sandwiches. What? Bologna Sandwiches? 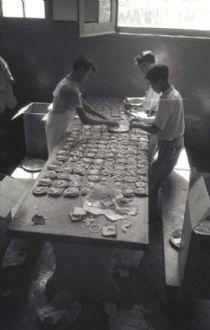 For many Braceros, the noon time meal provided by the farmers consisted of a sandwich comprised of yellow cheese, bologna and white bread. These quick and easy meals could be made and distributed in mass. Touching into this aspect of the Exhibit, our talented caterer made a tray full of ‘fancy bologna sandwiches’ with the addition of mayo, lettuce and red onion. We set up the main part of the meal down in another building, where we were holding the lecture and presentation, and set up the tray of sandwiches by itself with some wonderful wines in the gallery that is housing the exhibit. Now taking into mind that we were hosting a group of local VIP’s including the area Supervisor and town mayor, the nerves set in. Our guests have become used to fun, educational events with delicious food and lots of beverages. How would they react to an appetizer of home spun bologna sandwiches and a glass of wine? Does wine even complement bologna sandwiches? To my relief and surprise, the sandwiches were received with delight and for many, nostalgia. The appetizer brought back memories of camping trips, youth and were just plain delicious! Before transitioning from the gallery to the presentation tent for yet more food, the tray was just about empty. Thinking outside the proverbial chaffing dish and serving a non traditional treat not only tied in the exhibit to the menu, but also added a fun touch to the evenings meal. Now to answer the question posed, does wine complement bologna sandwiches? To that I answer, a good wine complements everything! that’s décor is already pretty retro (think laminate floors with carpet on the wall) in to a speakeasy/art deco lounge with little to no budget. After hours of strenuous research via the internet, I realized, I was pretty much on my own.My first thoughts went to the tables. To me round over rectangle was a clear choice. 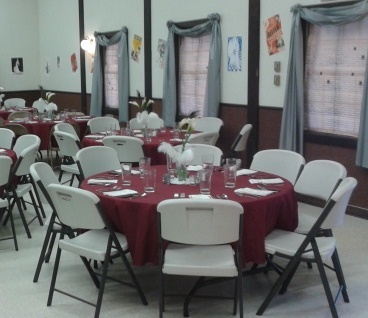 Sure you can fit more in a room with banquet style seating, but I was looking for elegance. 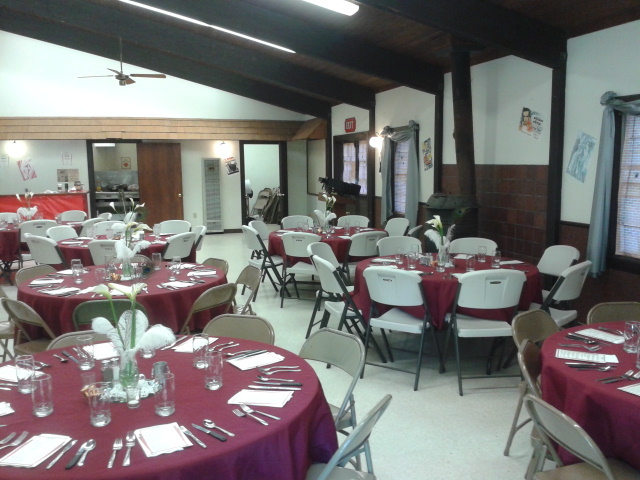 Needing to save money, we needed to use our stock of tablecloths, which meant I had to work with a burgundy color scheme, which actually worked out quite well. I chose to hunt down peacock feathers which were reasonably easy to find and ostrich feathers, much harder doing so within a meager budget, but I eventually found a source that was within an acceptable realm of indulgence. I paired these plumes with a few white Calle Lilies, some pearls, votives and round mirrors for a simple, classy centerpiece that enhanced the table, but wasn’t so tall it took away from the conversation of the guests. The building has 8 windows that look out upon a beautiful park, which would never do for a ‘speakeasy’ so I needed to pull the eyes away from the lovely brown carpet and frame the room and windows accordingly. Looking on-line for backdrops, I found that they are pretty pricey, so that was out of the equation. My first thought was to bring out a pen and cover the windows in art deco cityscape and silhouette designs. After realizing that my artistic ability would greatly prevent me from accomplishing much more then rectangles and stick people, I needed to come up with something else. So instead of looking out at an art deco scene, I decided to brick wall all of the windows. Using clip art and over 100 11×17 pieces of paper, I copied, cut and taped together enough brick walls (complete with bullet holes) to cover the windows. The lovely silver drapery is nothing more than plastic table covering by the roll. I completed the room with posters of movies, art deco art and magazine covers from the 1930’s, many great conversation pieces (ever heard of ‘Reefer Madness’? The poster alone is worth checking out!). 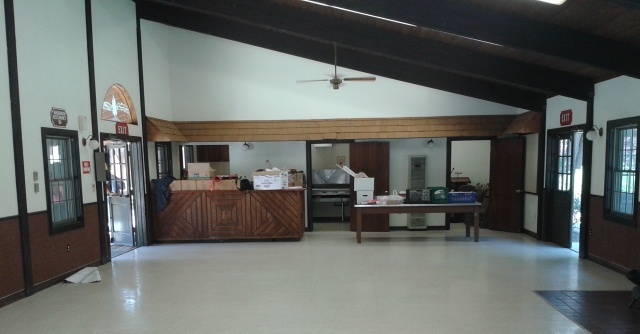 and crafting, my venue was ready for the party. So, did I do all of this within a reasonable budget and was all the work worth it? For a party of 75, the final cost of decorations was just under $3 per person, the event which included a fantastic Live Auction was a huge success and attendees raved about it for days, and this is for sure the museum’s newest annual event. This event is barely to rest and now my mind is spinning with plans for next year. To Blog or not to Blog? Such a big question. Here at this little museum in a relatively small town, we find ourselves hesitantly dipping our toes into new areas of technology and with so much going on we are attempting to test our hand at the world of blogging. No promises on the outcome that will be reached. All we can hope for is to reach out and keep our readers interested and impart a little information about our ever-changing museum. Right now we are in the middle of planning for not 1 or 2 but 3 big events, with smaller events popping up around us. We are weeks away from the Jack Hayes Prime Rib Dinner Museum Fundraiser. (Yes, here at the Monterey County Agricultural & Rural Life Museum, we believe in long titles!) 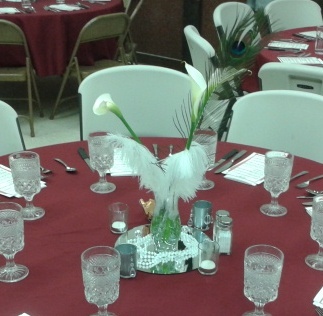 This dinner will be set in a 1930’s theme to complement the private preview of the King City Magic Lantern Slides. 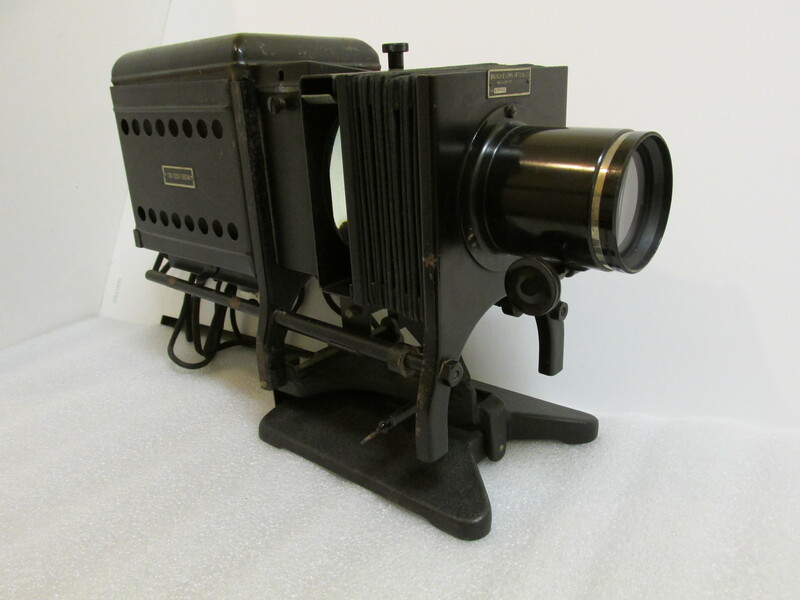 The museum has recently acquired a 1930’s Balopticon, also known as a Magic Lantern. We will be providing attendees the opportunity to view firsthand over 180 glass slides of ads from local businesses that range from the early 30’s to mid 40’s that the museum has preserved in its collection. 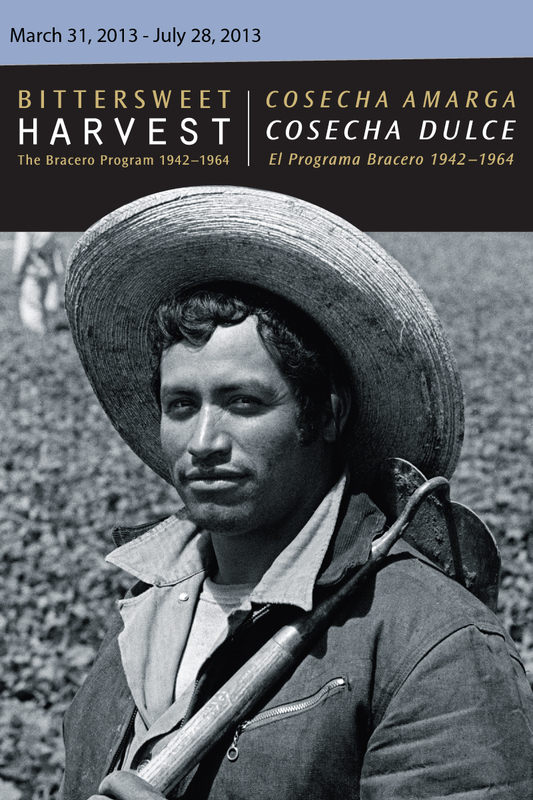 We are also gearing up to host an exhibition that will be on loan from the Smithsonian from May 31, 2013 to July 28, 2013 called Bittersweet Har vest, The Bracero Program 1942-1964. The museum will focus on the families’ aspect of the exhibit while planning its programming and is working on a Cultural Community Celebration including dancers, music and original artwork by local youth as well as lectures and a movie based around the program. The community opening will be held on June 1, so there is a lot to look forward to with this program. Of course not to be forgotten amongst all of this planning is the annual community celebration, 4th of July in the Park. This fun day brings the local area to the park to enjoy live music, local food and beverage vendors and a great family activities area featuring fun old-fashioned games and activities. This event is annually a great opportunity for friends and family to connect as well as support the museum. With so much going on, and being a new blogger, this site will have to be a work in progress. Any suggestions will be appreciated. So, enjoy the story and join me on this adventure into a world of technology that we are hesitantly exploring. Finding Common Ground in Washington D.C.
Doe, a Deer an Invasive Deer!